Disclosure: For all my non-12WBT or fitness blog friends, please read at your own peril! In terms of my 12WBT journey, my second week was tragic. Being in Melbourne for just over a week was not good for my nutrition and exercise. I spent the successful first week of 12WBT stressing over the fact that I was going to be outside of my comfort zone (ie: not cooking, not knowing what the hotel gym would be like, turning into “holiday mode”) and then resolving myself to being a warrior while I was away. Well, the first 4 days went to plan, the last 4 days went to hell in a hand basket. I am an emotional eater. I eat when I’m bored. I eat when I’m happy. When I’m excited, when I see pictures of awesome food, when I’m lonely….you get the picture. This is a fact that I’m trying to change through Michelle Bridges’ 12WBT program. Michelle spends a lot of time on the psychology of our health; our emotional connection to food and exercise, and lessons on how to change our bad habits for healthier ones. These are what our preseason tasks and the weekly videos and live chats are about. Addressing our obvious issues with nutrition and exercise (as well as providing motivation & inspiration!). For me, the exercise isn’t a problem. I like doing it, I’m actually pretty fit and strong and determined. But I lack discipline with my nutrition. And for the moment, I need regularity and structure when it comes to eating healthily and training hard. Not that that is an excuse. I am going to be accountable and responsible. What I put in my mouth & eat is my responsibility. How consistent and intense my training is up to be me. I have the power and the ability to respond how I want to every situation. There are no excuses. I have to be my word. I want this for myself so I need to make it happen. And I can’t measure my success against others. Eating out for 3 meals a day is pretty heavy on the calories. I did try and keep my portions small, although I could tell they were creeping up towards the end of the week. breakfast was in the hotel with a small bowl of fruit, a small tub of yoghurt and then a piece of toast with a coffee. lunch was basically Japanese every day except three days when I had a Mexican fajita, a burger & chips and Korean BBQ (over 3 different days, not all at once!). dinner was my downfall. I failed with control. I ate fish, pasta, steak and pizza. And drank wine. I generally didn’t snack except over the long weekend where we had a Saturday afternoon beer at a pub, a cupcake and coffee on Sunday and chocolate bullets & popcorn at the movies on Monday. That’s enough to send me into a shame spiral. summary – I indulged too much. 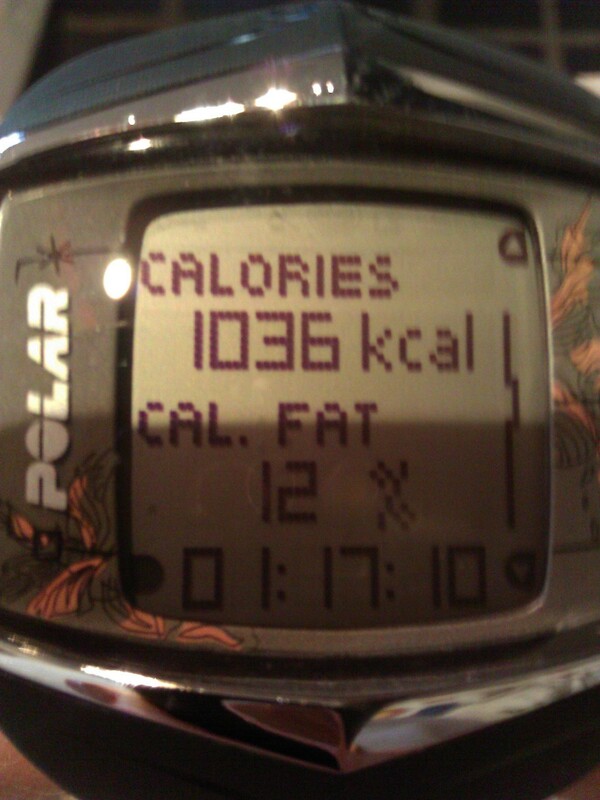 I went over my 1200 calorie quota every day I was away. No doubt about it. 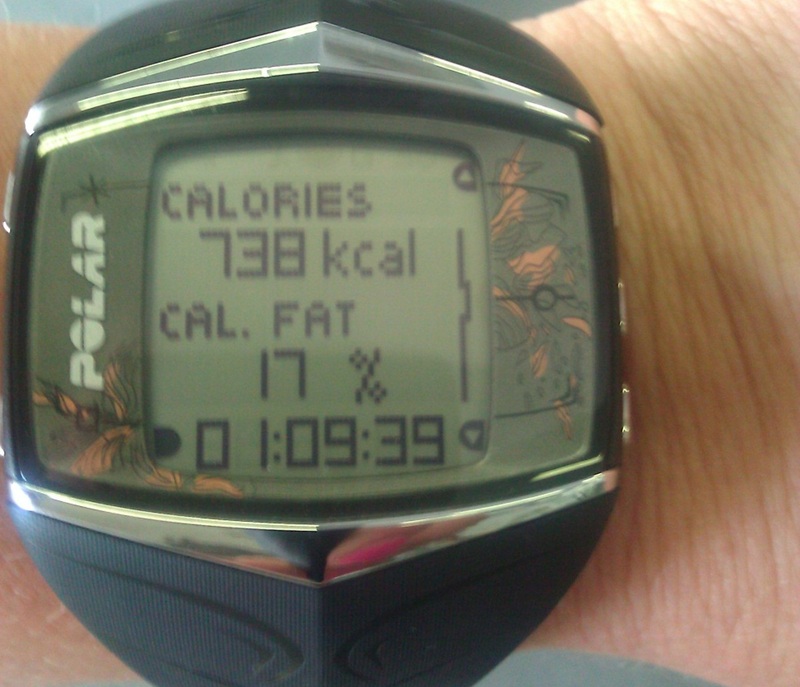 Friday – So I missed my mammoth PT session last Friday as I was flying out (this is a session where I usually burn 750+ calories). On the 12WBT program Friday is supposed to be a stretching day so I did yoga poses for 20 minutes when I got settled at the hotel. 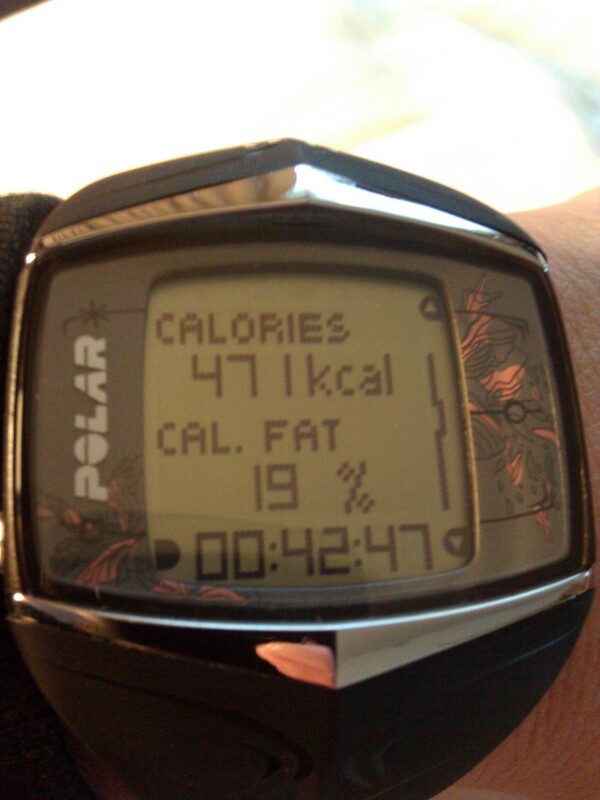 Saturday – a session in the gym. PodRunner & weights. Sunday – another session in the gym. PodRunner and floor work. Monday – gym again. PodRunner & weights. Tuesday – Friday: no workouts. I did do a lot of walking around the city though; meeting Jay for lunch, walking from my office, shopping, going out at night. But it was still completely slack of me. 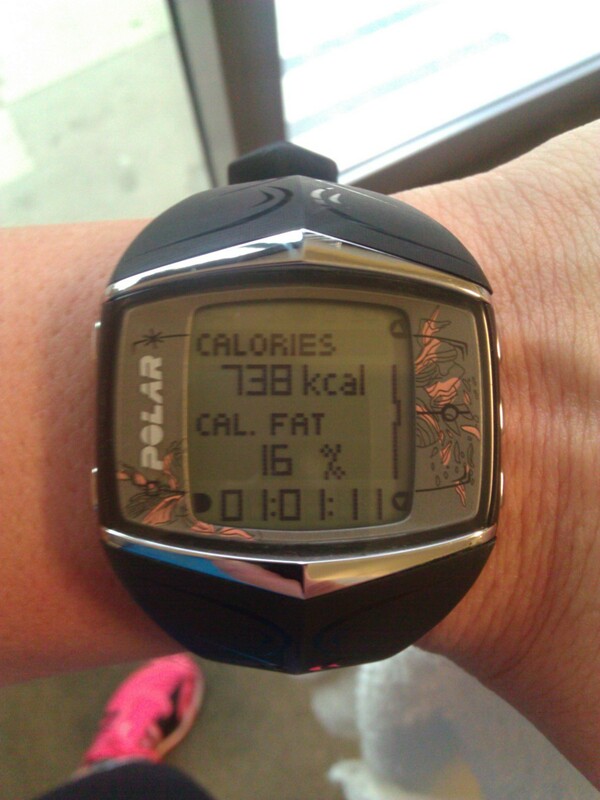 Sunday – we got home and due to the rain I delayed my Super Saturday Session til Sunday so I could workout in the park. summary – I started off well but didn’t end well. Basically I was just lazy (slept in, rushed to get brekkie, then went out at night). At least I had a few good workouts. So there you have it. My gut-wretchingly honest account of my week 2 failure. Let’s not let it happen again shall we. I guess you have to weigh in tomorrow. Hopefully the result isn’t too bad – as it sounds like you just had a couple of REALLY off days! I like that you’ve put it behind you and moved on! thanks Deb. I still have a loooooong way to go with my “holiday” mindset! Ok so I think that with holiday mind sets, you need to just remember what Mish says she does. Whenever she’s away, as long as she trains as normal, she allows herself one treat meal per day. Or rather, a meal where she loosens the reigns, but only for that one time. All other meals have to be good. Don’t beat yourself up too much, you had a holiday, you had fun, it was a few days, and now you’re back in your routine. Sure you could have made some better choices, but it’s all learning! Even just recognising where you went wrong and where you can improve is valuable.